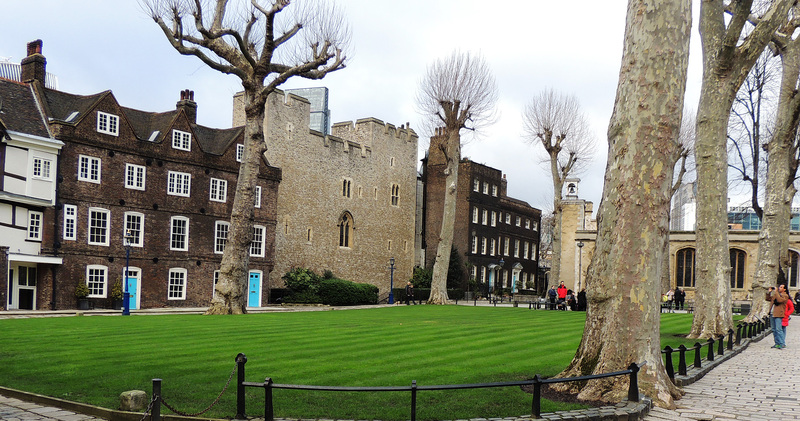 Tower Green is an open space to the west of the White Tower. It is bordered on the south and west sides by the Queen’s House and on the north side by St Peter’s chapel. 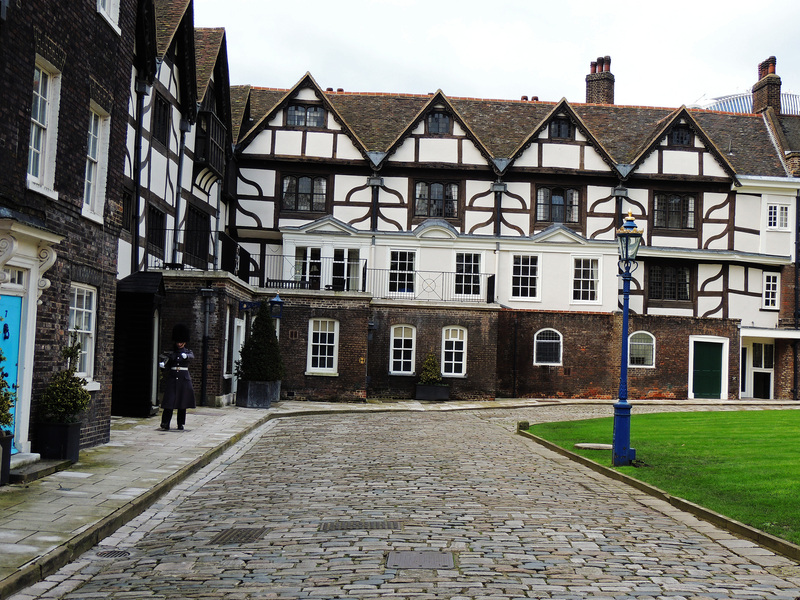 The Queen’s House is the residence of the Tower officials such as the governor and the chief warder. 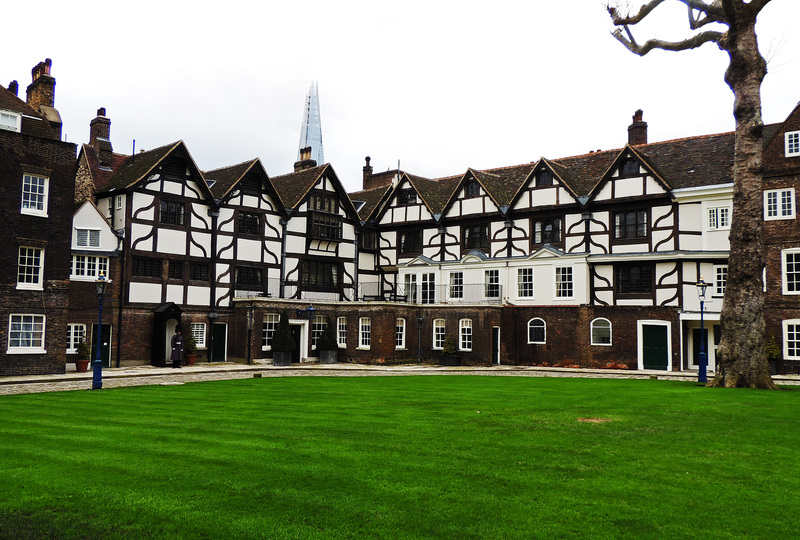 Although the building dates from 1540 the name dates only from Victorian times and changes depending on the gender of the monarch. There is some debate about whether the monument is in the correct spot. 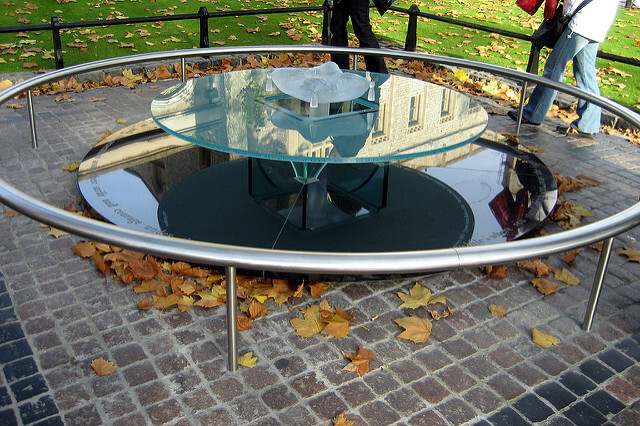 In the reign of Queen Victoria, the Queen wanted to erect a monument to those who had been executed and this was the spot identified as being the site of the scaffold, but study of other sources suggests that the execution site was actually on the parade ground to the north of the White Tower or may have been different in each case as the scaffold was not a permanent structure but was erected when required..